What do I need to bring with me to receive good assistance here? Your opinion matters. 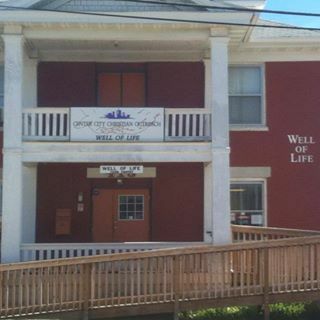 Leave A Review Or Edit This Listing for Center City Christian Outreach - The Well of Life Pantry. Offers a sack lunch to the homeless or canned goods and other food to others. The pantry also provides a limited selection of clothing and may also help with transportation expense (city bus tickets or gas vouchers) and utility expense, subject to rules and availability. The pantry does NOT provide rent assistance. We always need more information on our pantries. If you know of any details, volunteer information, website, hours or more description information about Center City Christian Outreach - The Well of Life Pantry please add a comment (below the map on this page), with information. We will then display this for all visitors on this page.